I recently purchased the gorgeous Strat to the left. It’s the first Strat I’ve played in a long time that I actually like playing. But this past Sunday, I took it to my church gig and played it with one of my Plexi variants – my favorite amp, an Aracom VRX22. I did not like the sound at all! Yikes! Like all Plexi’s I’ve played, the VRX22 is voiced bright. And for me, it’s a perfect complement to my Les Pauls and deeper voiced guitars like my new Gretsch Electromatic. Not so with a Strat, which is very bright. And even though I cut the highs out, it just didn’t sound right. So later on that evening, I went into my studio and plugged my Strat into my Fender Hot Rod Deluxe. What a difference! 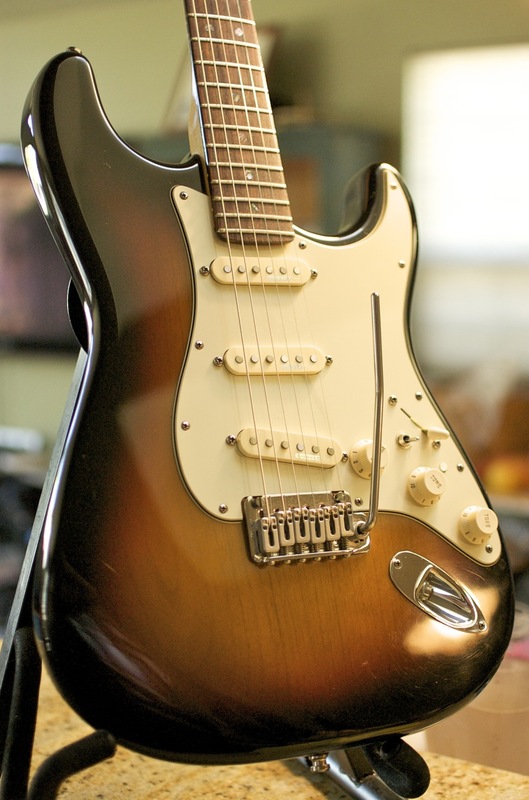 My Hot Rod has a big bottom end, and that is the perfect complement for a bright guitar like my Strat. It just goes to show the importance of finding the right combination of gear to get your sound. In my case this past Sunday, it took playing through another amp altogether. No amount of EQ or combination of pedals was going to get it “right” for me. I saw a TV interview some time ago with Keith Richards. He pretty much said the Fender guitars & Fender amps were made to go together as a package & just sounded so right with one another. I tend to agree! Fender guitars, both Strats and Teles, do sound great through Fenders, but they also sound great through certain Marshalls. I recently paired a Tele with a Vintage Modern head and found that to be a great match. My Les Paul sounds wonderful through my new Phaez X-15, an EL34 version of the Sibly. 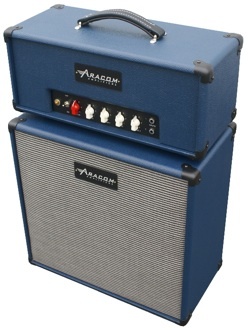 So far, it’s the best sounding amp I’ve ever played.